Our first novel, published 12 Jan 12, is The Cordello Quest, which kick-starts The Lazuli Portals series of novels with Keira’s journey to a parallel world. Themes include lovelight, synchronicities, natural magic (energy healing), crystals, friendship, symbols and spiritual growth. Read more about The Cordello Quest. The Cordello Quest is available for Kindle (UK link and US link), and in paperback from CompletelyNovel.com, Amazon, and direct from us. 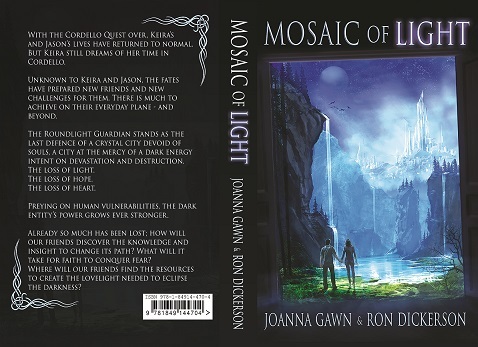 The second book in this series, continuing Keira’s and Jason’s journeys of awakening, is Mosaic of Light. Visit our website to find out where you can buy a copy. The final book in the Lazuli Portals Trilogy has been released! The Exile’s Blade was launched on 18 – 8 – 18. Find out more from our website or visit our Excerpts here on the blog. The book is available direct from us, or from Amazon in both Kindle and paperback formats – visit viewbook.at/exilesblade. It will be available through other retailers in due course. We also write short stories for reading aloud at our local Writers’ Circle group. 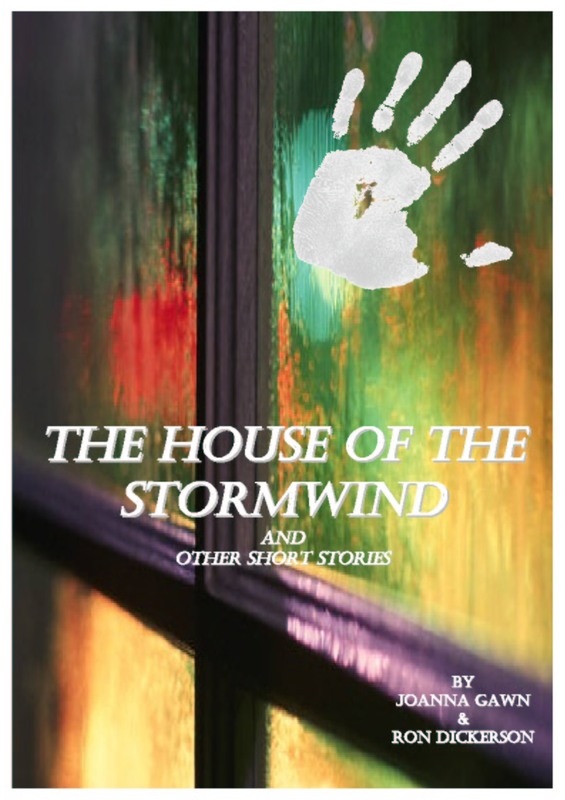 A few of these tales, together with some longer works, have been published in our short story collection, The House of the Stormwind and Other Short Stories. This ebook (currently FREE! in ebook format!) is available from Amazon (for Kindle: UK and US), from Smashwords (for Kindle, Nook, Apple devices, and other ereaders) and from Barnes & Noble. 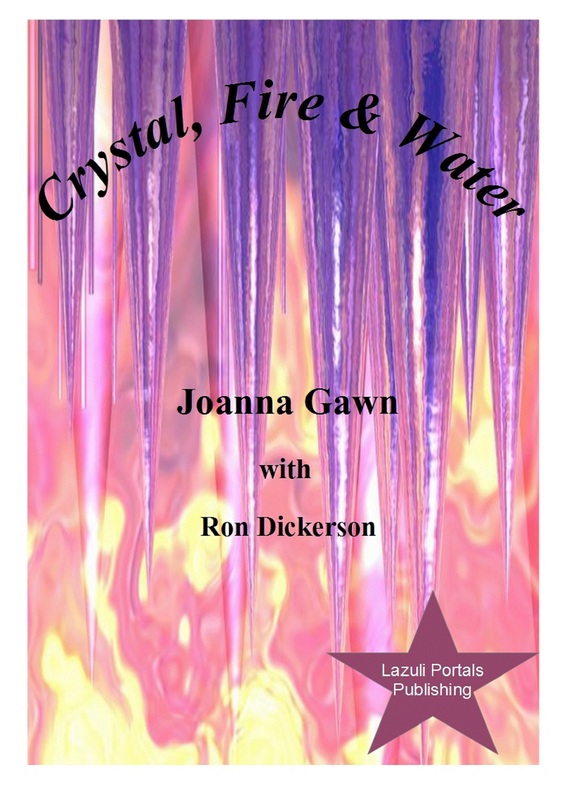 Our FREE short ebook, Crystal, Fire and Water can be downloaded in multiple formats (including Kindle) from Smashwords.com, and is also available at the Barnes & Noble bookstore. A Kindle version is available direct from Amazon UK and US stores. As we have had problems with Amazon price-matching the other outlets (so that we can offer it for free, for always) we also offer a download of the Kindle version direct from our website. 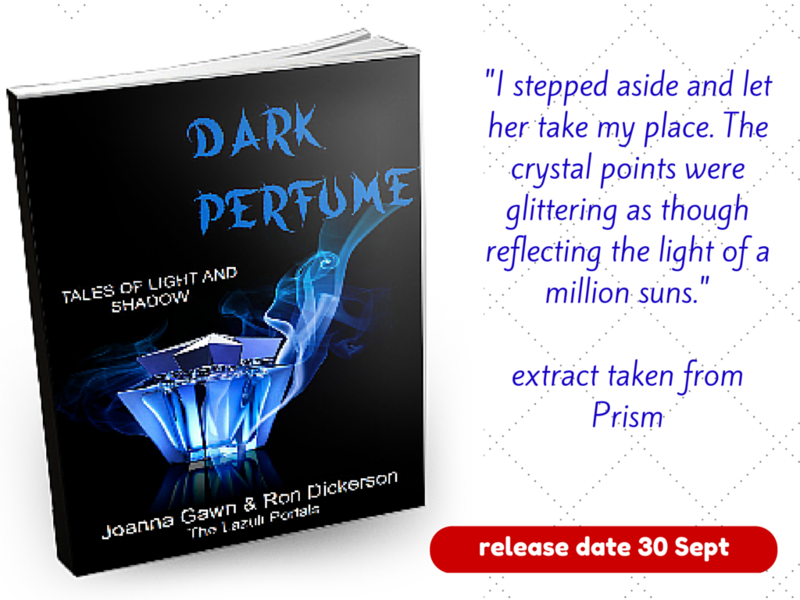 On 30 September 2015, Dark Perfume: Tales of Light and Shadow was published on Kindle. You can read more about this new volume of 33 short stories here.